Light at the End of the Tunnel | Meghan Kelly Teles! I’ve been living at the hospital for 16 days. I wonder if it’s harder to live at the hospital as a sick person or a completely healthy, albeit overly pregnant, person. I’ve had daily visitors and sometimes it’s felt like a party. It’s a different way to live, that’s for sure. We do things like play Scrabble and complete puzzles. I’ve learned 3 songs on the ukulele. Yesterday a kind nurse escorted my mom and I outside because of hospital policy and told us about the pool on the campus across the street. 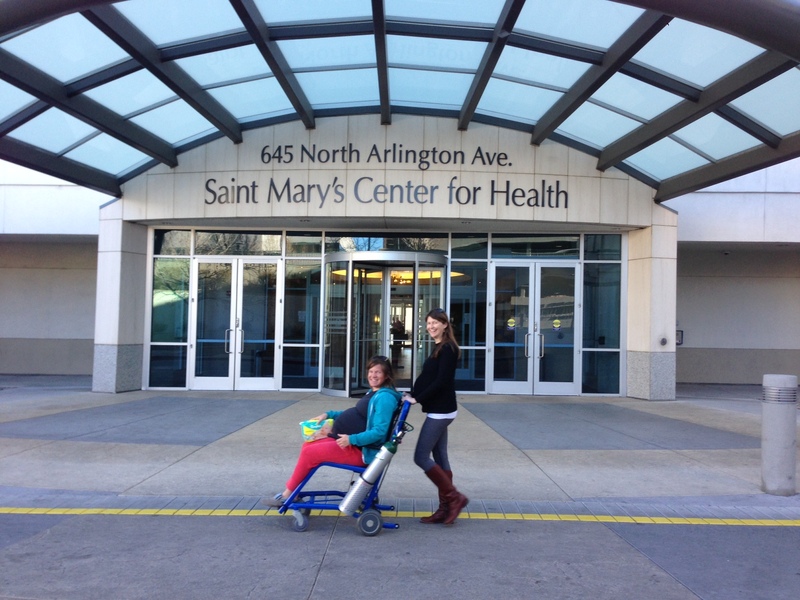 We stopped in and found out that there is a special program for preggos with a doctor’s note – $5 for water exercise. I was in… especially if I could swim laps. So we went to work and got a note from my doctor and all I needed was my swimming stuff which another friend kindly dropped off. Then… the supervisor rained on everyone’s parade. Even the nurses were sad. She said it was against hospital policy for me to go. Wah wah. I’ve come a long way since getting here… they used to only let me leave in a wheelchair! 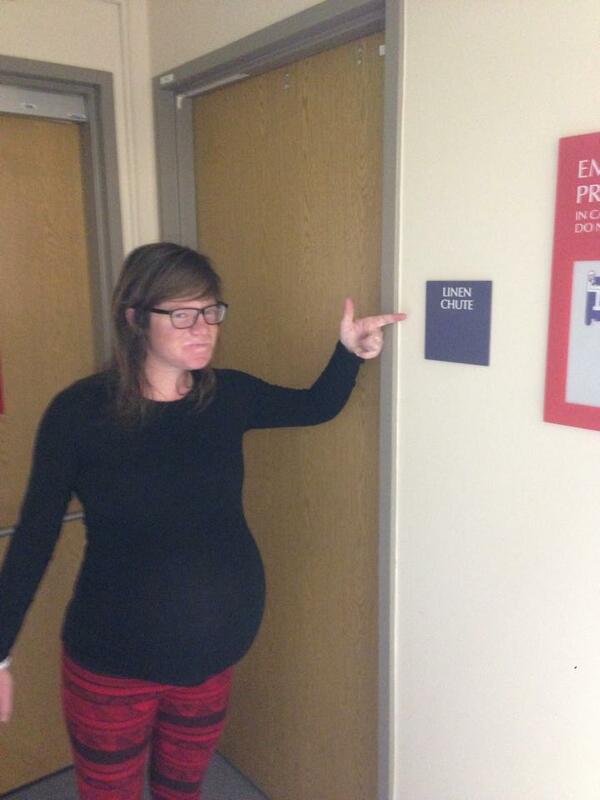 Pushed here by another pregnant woman. Another type of “hospital adventures” – walks around the floor and coming up with funny captions. So, what is the plan? Well, I’m on the schedule for one week from today if all continues to go well. That would be 36 weeks along plus 1 or 2 days depending on who you talk to. I’m trying to enjoy the quiet as I’m about to be overstimulated for the next 15 years at least. Lastly, I want to thank a bunch of people. My husband for taking care of everything at home and bringing me all the things I need at the hospital. My mom for flying out here to keep me company and staying for a while to help with the triplets. My friends who have taken care of Scout the puppy. And all my amazing visitors who have taken my mind off living in the hospital by accompanying me on walks, playing games, bringing me healthy and delicious food, and just making a lot of funny jokes. THANK YOU!